1 Who is Tal Fishman? Tal Fishman was born on 27 December 1996, in Los Angeles, California USA, and is a YouTube personality, best known from posting content on his channel called Reaction Time. He has earned a lot of popularity posting reaction videos to pop culture news related to various entertainment personalities, such as Ariana Grande and Selena Gomez. How rich is Tal Fishman? As of mid-2018, sources estimate a net worth that is at $600,000, mostly earned through a successful career on YouTube. His popularity has led him to create several other channels, such as Game Time and Free Time. As he continues his career, it is expected that his wealth will also continue to increase. Tal created his first YouTube channel with his brother in 2014. entitled “Tal and Short”, reflecting the difference of their heights. They usually posted comedy-related content such as skits. and was able to amass around 200,000 subscribers within a year. In 2015, Tal branched out with his own YouTube channel, called “Reaction Time”, on which he started to post various reaction videos – a growing trend at that time. He mainly reacted to other YouTube videos, popular events, and celebrity news, which proved to be a success, rapidly reaching the one million subscriber mark in just over a year. He continues to post various videos on his channel, which now has four million subscribers, and has created other channels to promote different content. He created Game Time for video game-related posts, and Free Time which mainly takes a look behind the scenes akin to a video blog (vlog) channel. Happy 18th Birthday to my brother @adifishman It's true that we were cuter back then ? Fishman has been known to connect with his fans very well; he has mentioned that his brother stopped making videos since he lost motivation as well as being short on time. Fishman also found that it was difficult trying to manage a YouTube channel on his own, which led to him starting the reaction videos channel. The demand for vlog-type videos led him to create Free Time, while his interest in video games created the Game Time channel, as people didn’t want his gaming content mixing in with his reaction content. However, he has also been criticized for his work – another YouTuber called “LeafyIsHere” has criticized Fishman for using click bait for his thumbnails, and the fact that he is essentially profiting off other people’s videos, going on to state that Fishman is the most deprived man on the internet due to his overreactions and yelling at women. Fishman has not really responded to the criticisms he’s been accused with, though it is known that he has started collaborating with his brother again, who is also now back in YouTube. While Tal doesn’t mention much about his relationships, there have been reports on his past and present romances. In 2016, it was reported that he dated Neketa I who was his first girlfriend. He then had a few months’ relationship with Milica Kovilijac, who has several social media accounts. In early 2017, he was in a relationship with Taliya Oztan which also lasted for several months, and then he then dated Amra Beganovic who is another social media personality. Later in the year, he started a relationship with Neutrino R, and it was rumoured that the two had a child on the way, but they separated, and he is now in a relationship with YouTube and model Bogglob. 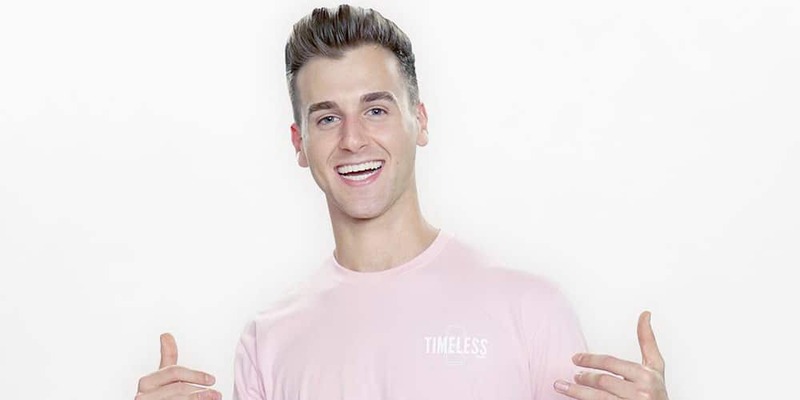 Similar to numerous YouTube personalities, Tal has also spread his influence to other social media websites, particularly Instagram, Twitter and Facebook. He mainly posts personal photos and with friends on his Instagram account, plus of his travels and the various locations he’s been in. He uses his Twitter account to promote some of his latest videos, while also building a merchandise brand called Timeless, which has its own Instagram account featuring designs curated by him and some of his friends. His Facebook account is the least active of the three, only starting the account to have some presence on the website though it has not been updated since 2016. His popularity online has caused other YouTubers to create videos of him, for which he has also created reaction videos in response. His Game Time YouTube is no longer active, while his Free Time account is still very active, and mainly focuses back on his early YouTube days, more on comedy content.